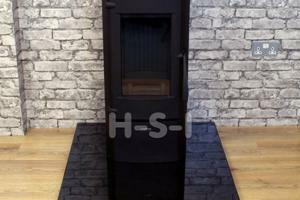 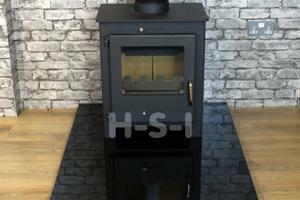 We can supply hearths, pictured is a highly polished smooth granite hearth - please call to discuss options. 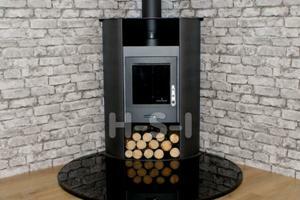 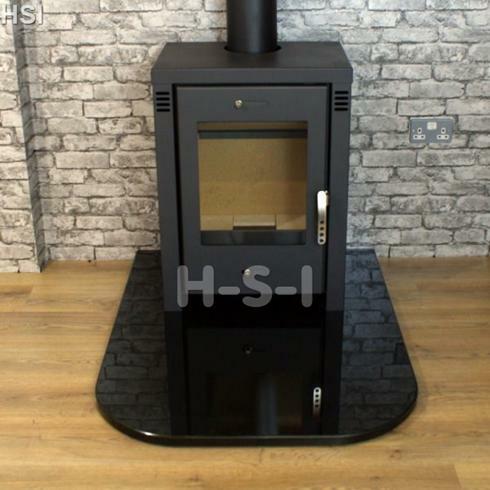 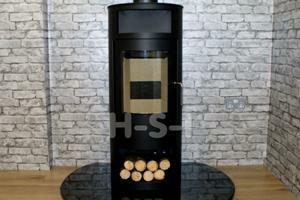 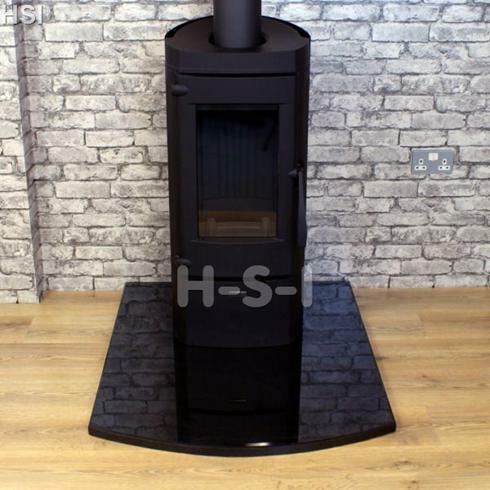 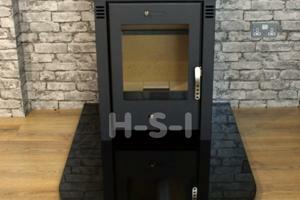 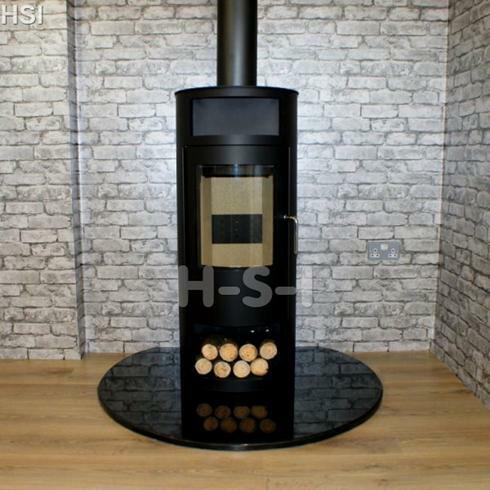 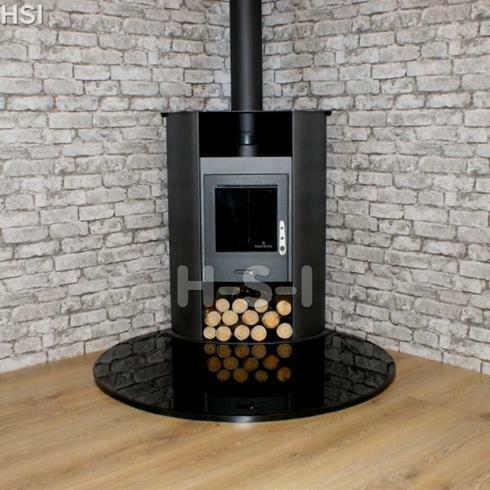 A retangular hearth with curved front corners, giving a softer looking finish. 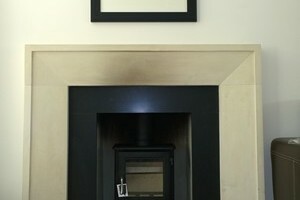 We can supply hearths, pictured is a highly polished smooth granite hearth - please call to discuss options. 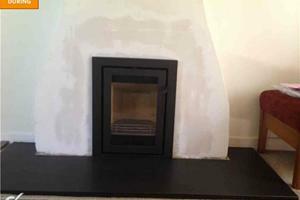 A flat backed circular hearth perfect for the rounded stove. 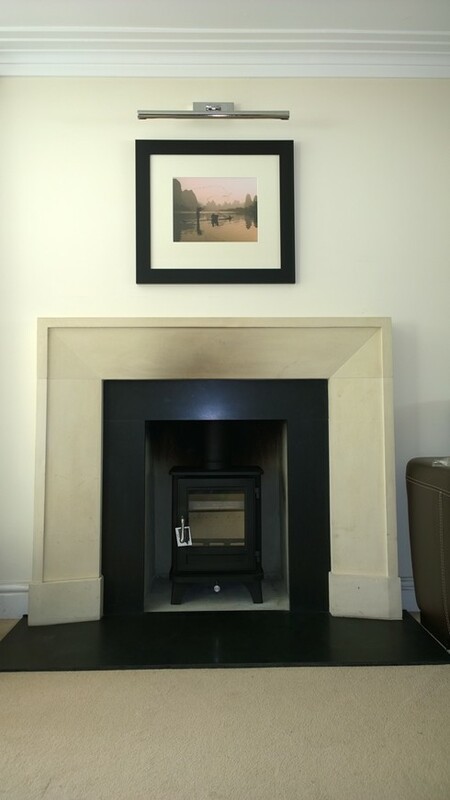 We can supply hearths, pictured is a highly polished smooth granite hearth - please call to discuss options - tear drop shape, perfect for a corner. 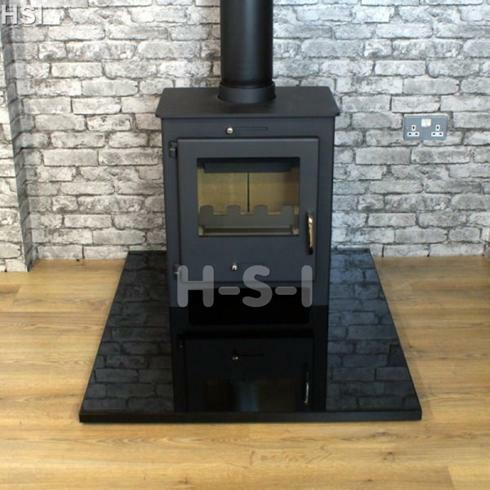 We can supply hearths, pictured is a highly polished smooth granite hearth - please call to discuss options. 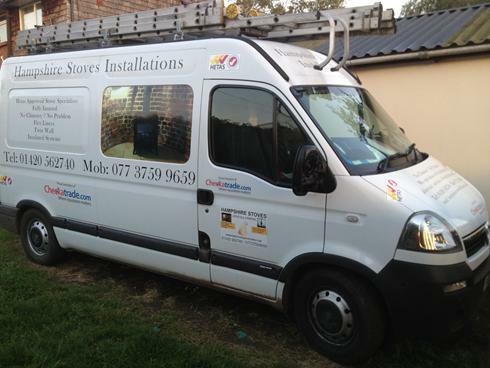 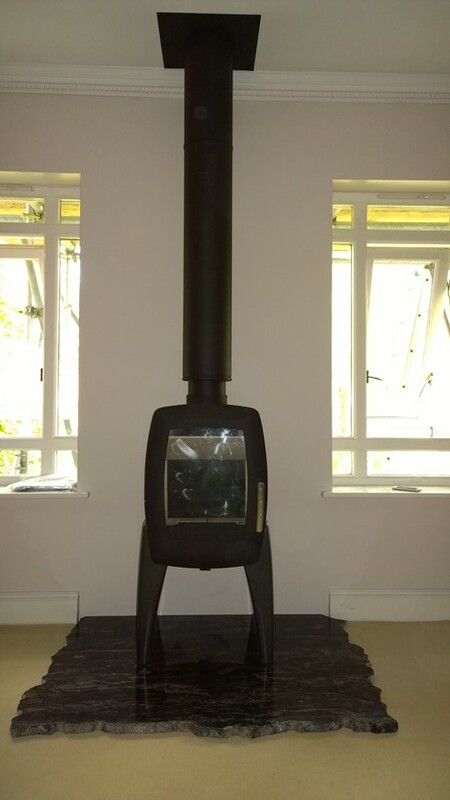 Installation of a Chesney Salisbury stove in Petersfield, Hampshire. 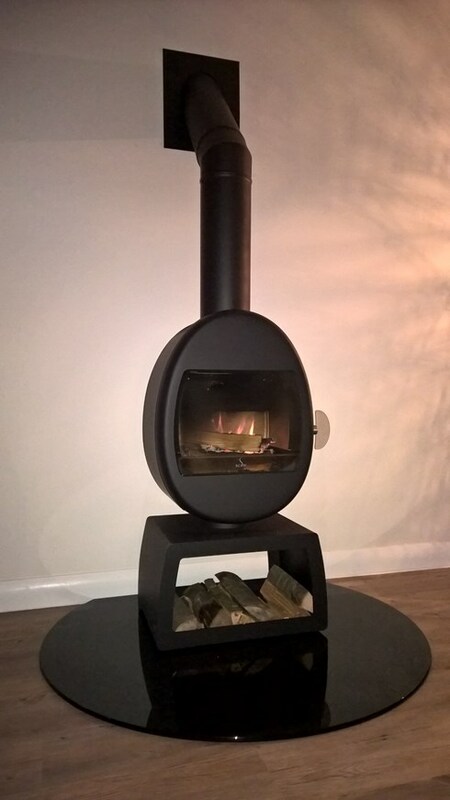 An installation of a Clearview in Surrey. 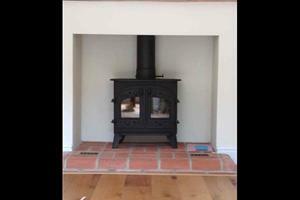 Installation of a Hwam Stove in Winchester area. 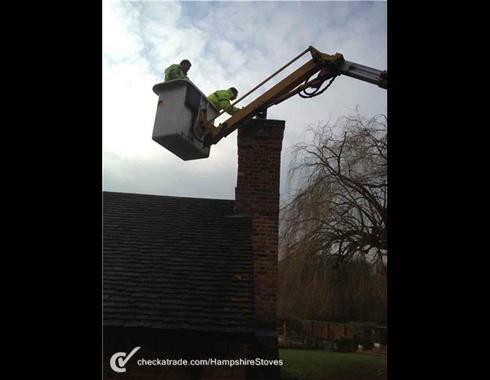 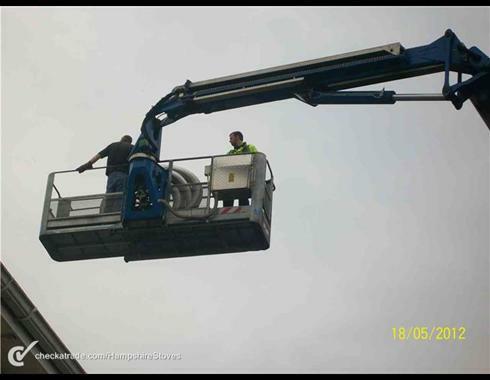 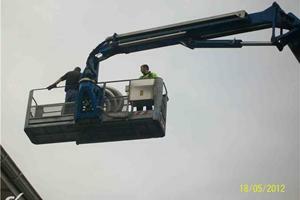 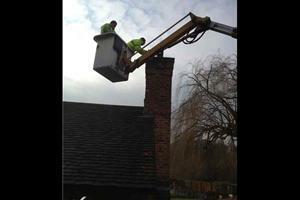 Some jobs require the use of a large Cherry Picker. 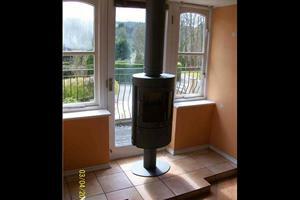 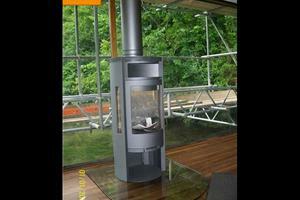 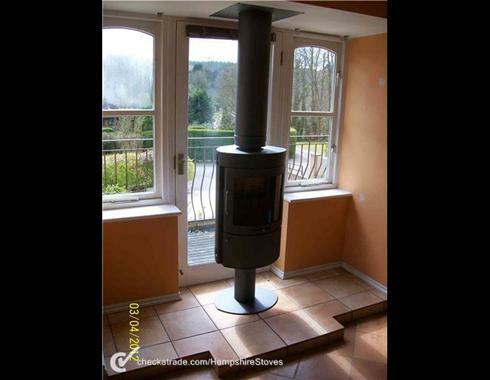 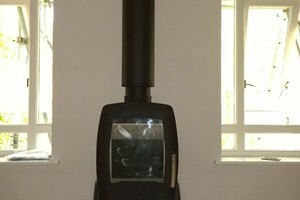 Installation using twin wall flue of a freestanding stove. 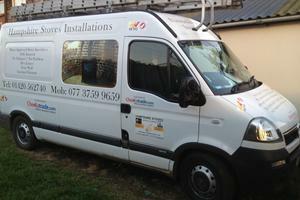 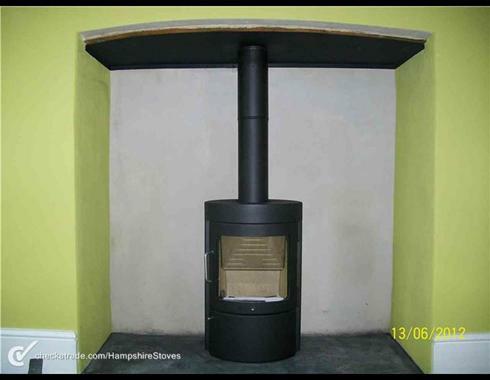 An installation of a Franco Belge in Hampshire. 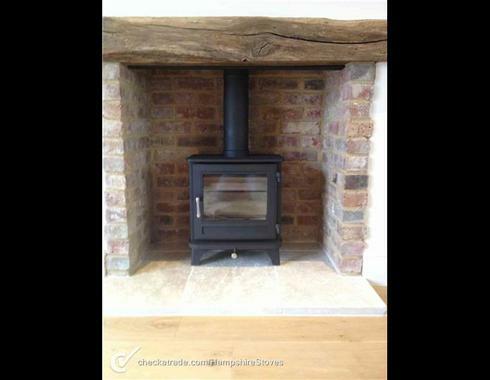 Contura Stove sitting on a glass hearth installed in the Petersfield area. 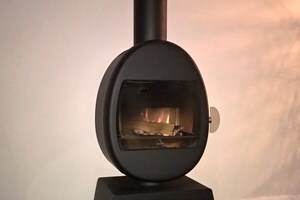 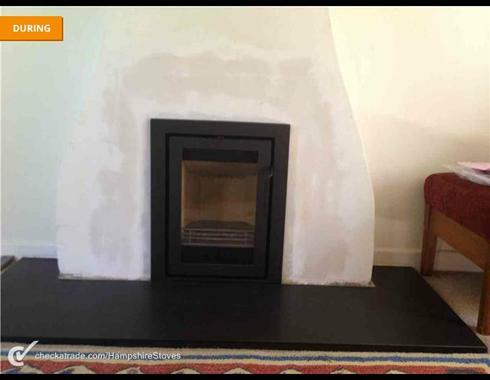 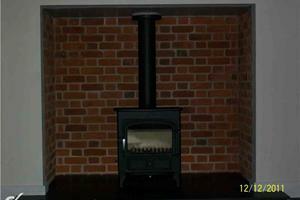 A Villager Stove installed in the Farnham area. 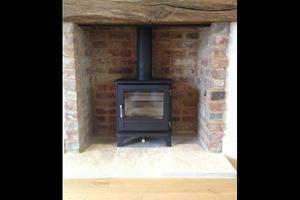 Contura Insert Stove - fitted in Medstead. 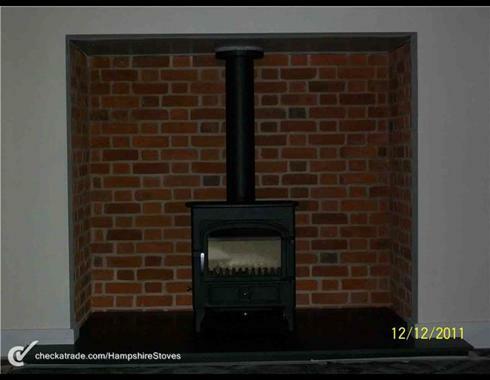 A Stovax, Nordpeis Smarty Stove using a twin wall system on a completely one of a kind hearth in Winchester. 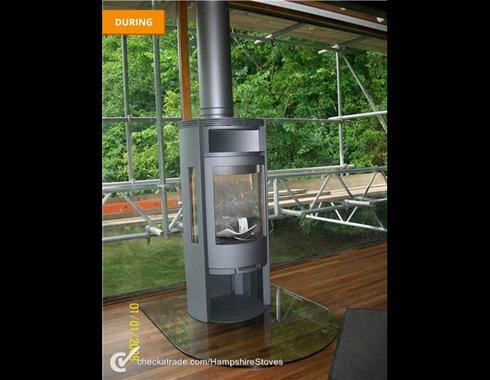 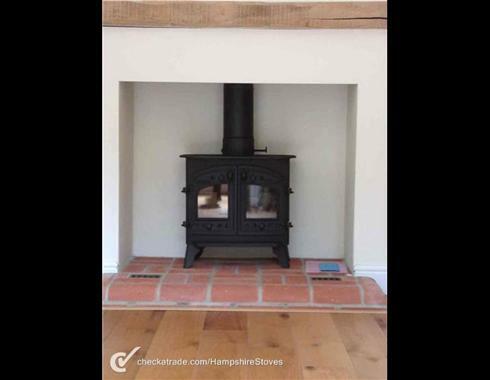 A Chesney stove installed in Hampshire. 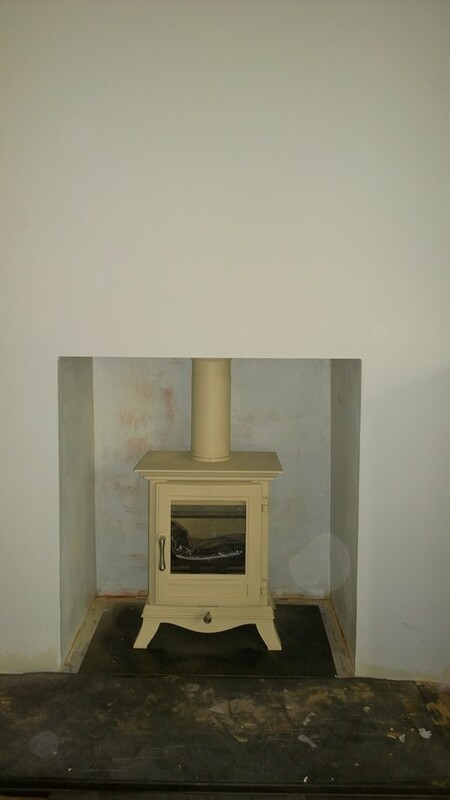 A cream Chesney's Stove installed in Four Marks. 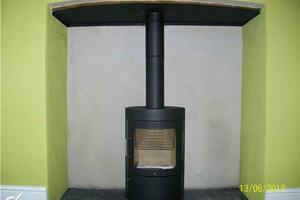 Twin Wall installation of a Contura in a conservatory in Alton area. 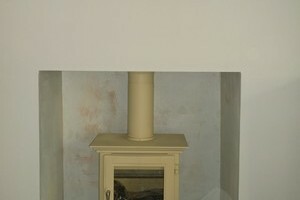 This is a conservatory installation passing through wall into loft space exiting through house roof. 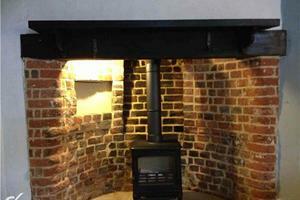 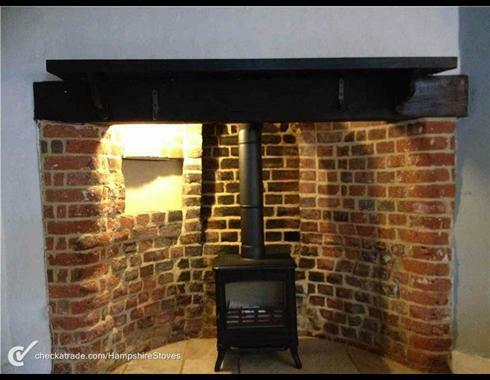 A twin wall flue installation of a Contura stove on a D shaped hearth in the Alresford area.